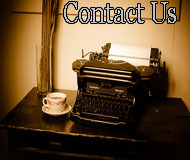 Can a book be called Crime Fiction if there is nobody chasing the bad guys? Frenzy is such a book. All of the characters are bad guys. Not a single one, with the possible exception of the protagonists brother has the slightest bright spot in his soul to redeem him or her. It’s often labeled as “hardboiled” but there is no detective in the story. At least not one who is actually pursuing a crime or trying to solve a mystery. This is classic noir that would have made David Goodis or James M. Cain proud if he had written it. The story is told by Norm Sands, a self described “two-bit grifter”. How does a man become a “two-bit grifter”? That question is answered twelve years earlier. Norman Sands and his year younger brother, Matt were orphaned at the age of five when their parents were killed in a car crash. But that wasn’t the defining moment. They had insurance money and an aunt to take them in. They lived in a little town on the edge of the desert in southern California, Mason Flats. A five room room house. They were fed, clothed and cared for but Norm “was a dark child”, moody, got in fights, got in trouble. Boy kind of trouble. Matt was an honor student. Basketball star. People liked Matt. Matt was going to be a lawyer. Norm had a job setting pins in a bowling alley when WWII broke out. Norm ran with a fast crowd. They got in gang fights with the Mexican kids. Hung out playing pool in the backroom of Hermann’s. His brother was going places but Norm was sitting there at a fast idle until he fell in love in the eleventh grade with Laurie. Problem was Laurie was Hal Karse’s steady. Hal’s daddy was a big shot business man in town. Hal drove a sharp convertible, chrome headers, Carson top and all the girls were crazy about Hal. Until in a gang fight with some Mexican kids, Hal picked up a broken bottle and scarred one kid for life. Laurie dropped Hal and started seeing Norms brother, Matt. Hal was envious, but glad that Laurie was near. On prom night, Hal picked a fight with Matt, really beat him up. Norm finds out and takes a knife to Hal’s fine ride. Slashes the top, the upholstery, the dash. Pours dirty in the engine, took a brick to all the glass and gets caught. In the fight, Norm is being beat mercilessly when a free hand finds a brick and and hits one of his attackers, Claude, in the head. Suddenly the fight is over, apparently Claude is dead. What started as boys fighting ended in a murder. Norm flees town. Hops a freight destined for a life on the lam. You learn fast when you are on the run, a murderer at 16. You learn about degenerates, about filth, about hunger. You learn about sadistic brakemen, fond of crippling hobos. You learn to survive. You hustle in poolrooms in East L.A. At twenty you graduate to floating crap games. You discover you have good reflexes and a natural talent for cheating at cards. You celebrate your twenty-first birthday by having your ear drum punctured to avoid the draft. Your friends are con men, pimps and thieves. Most of all you embrace the Seven Deadly Sins – that is really the message here. Wrath, greed, sloth, pride, lust, envy, and gluttony. AKA The Capital Vices and they will each, in its time undo Norm Sands. The story opens twelve years later. Norm has become that two-bit grifter. he knows all the cons and can stack a deck. Norm is dealing cards in Gardena, a city out side of Los Angles that took advantage of state laws to operate poker parlors. Norm is shilling and dealing in one of these between betting on sure things that never come in, at Santa Anita on race days. He is working for a shady character named Garth Anders and answering to Garths muscle, Angelo Ventresca. Norm has plans, such big plans but his own ambitions and schemes derail him every time. The Capital Vices.He plays hanky panky with Ingram’s girl, Robin. When he is caught, because of slothful ways, he is beaten.Nothing more. In this kind of business there are various types of beatings, this wasn’t a beating that left you with ruined kidneys and a broken soul. Just an object lesson. Norm could have learned a lesson and gotten on with his small life, but lust, greed, envy, a touch of wrath – a need for revenge, and pride won’t let him. And sloth, time after time does him in. The Capital Vices, and Norm has them in Spades. When a cop named Mallory finds out that Garth is planning on taking a delivery of Heroin he co-ops Norm. Norm decides to finger Garth and Angelo. And at the same time, rip off Garth for a sizable chunk of change….and steal his girl. Naturally it all goes wrong, and Norm this time is on a one way trip to being fitted with a wooden suit, when he escapes, hops a train, not a plug nickel to his name. Maybe he sees Mason Flats as his last chance at redemption, read the book and decide for yourself, but he’ll do anything, commit any sin, embrace all the Capital Vices – and betray, use and abuse anybody for this big opportunity to ‘win’. Friends, screw ‘em. Family, sorry brother. He’ll lie, cheat, steal and no one is safe from his ambition. Not family, not the women he lusts for, not allies. No one and nothing. Just when you think he has sunk as low as humanly possible, Norman Sands finds new depths of depravity and a new scheme. The Capital Vices rule Norman, and the ending will answer the question, does crime pay? And what are the wages of sin? 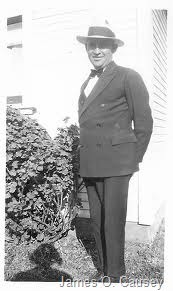 James Oliver Causey was born in Los Angles in 1924 and died 2003. 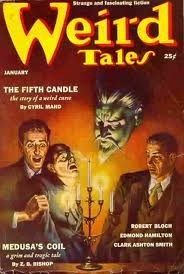 His first writing credit is from Weird Tales, "The Statue," from the January 1943 issue. Causey’s writing career picked up again after the war. At least four of his stories were published in Street and Smith’s Detective Story Magazine between June 1945 and March 1947. In the early fifties, Causey tried his hand at science fiction with stories in Galaxy Science Fiction, Science Stories, and Orbit Science Fiction. Frenzy was written in 1960.There is a pretty good bio on him at Teller Of Weird Tales web site.